PARIS — French officials say a young girl was killed and at least five people were seriously injured when a driver plowed his car into the sidewalk cafe of a pizza restaurant in a small town about an hour from Paris. 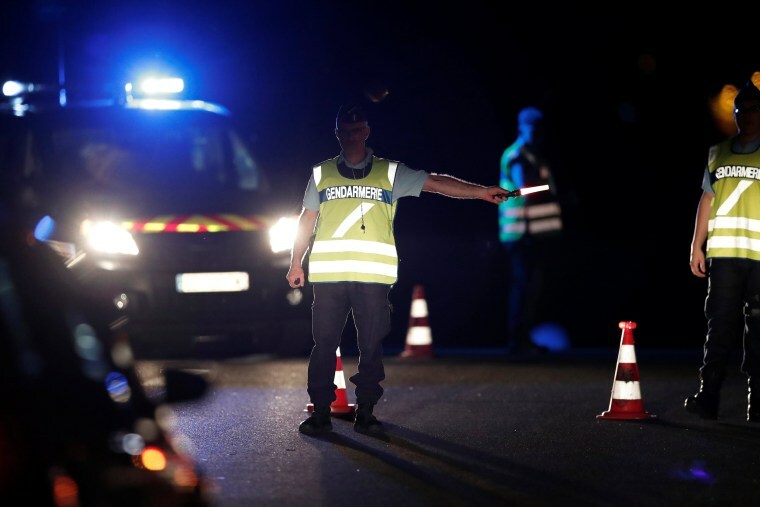 The national gendarme service said the driver was arrested soon after the incident Monday night in the town of Sept-Sorts after the suspect slammed his car into the pizzeria, killing one child and injuring several others. Investigators were on the scene and officials said it was unclear what motivated the incident. A police official in the region Seine-et-Marne told NBC News the girl who was killed was 12-years-old and that a 4-year-old child was also seriously injured and flown by helicopter to a hospital in Paris. Four others were seriously injured and eight were slightly injured, the official said. France's Interior Ministry told the AP that the man who drove his car into the pizzeria was apparently suicidal and the incident is not believed linked to terrorism. Ministry spokesman Pierre-Henry Brandet said on BFM television that the man was born in 1985 and was believed to have tried to commit suicide last week.